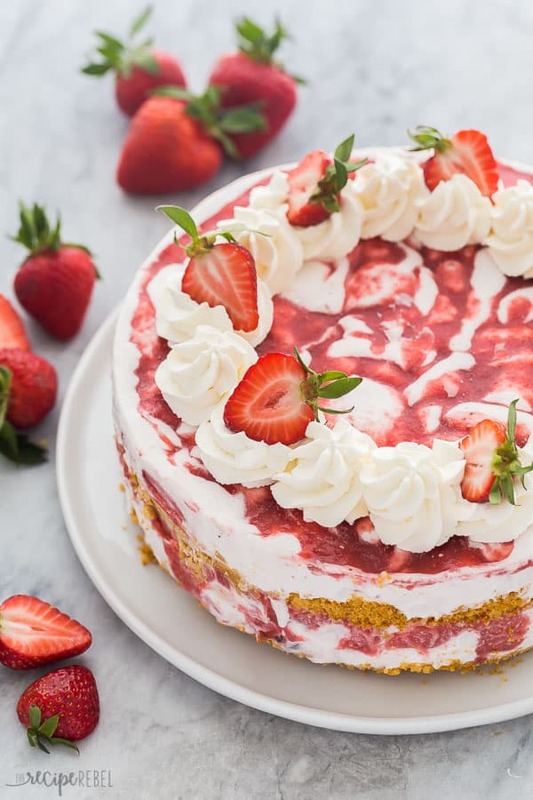 This Strawberry Shortcake Ice Cream Cake is a show-stopping strawberry dessert! Made with crushed shortbread cookies, strawberry shortcake ice cream, and homemade strawberry sauce, it’s a no bake dessert everyone will love! Everyone, meet the summer dessert of my dreams. 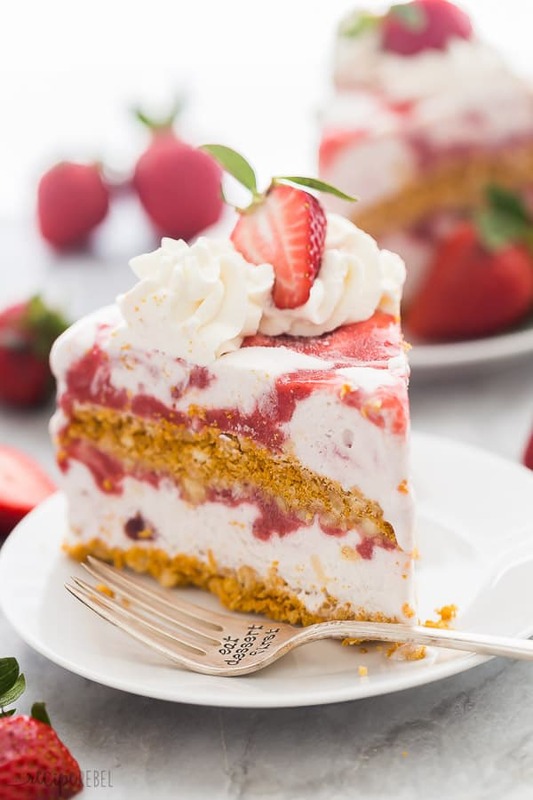 This Strawberry Shortcake Ice Cream Cake you guys…. it’s crazy delicious. I’ve mentioned this a few times now but the older I get, the more I prefer a fruity dessert over something crazy rich. I will give you my cake with frosting if you’ll just pass me a bowl of ice cream. I recently discovered this Strawberry Shortcake Ice Cream from Chapman’s (my ice cream of choice), and I can’t get enough. It is easily my current favorite ice cream! 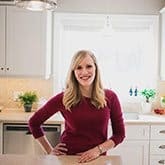 When I had the opportunity to work with Chapman’s on a fun dessert recipe, I knew I had to include it somehow! This Strawberry Shortcake Ice Cream starts with real cream (believe me — there are a lot of ice creams out there not made with cream! ), and has loads of white cake chunks and real strawberries. It really makes this ice cream cake recipe extra special! 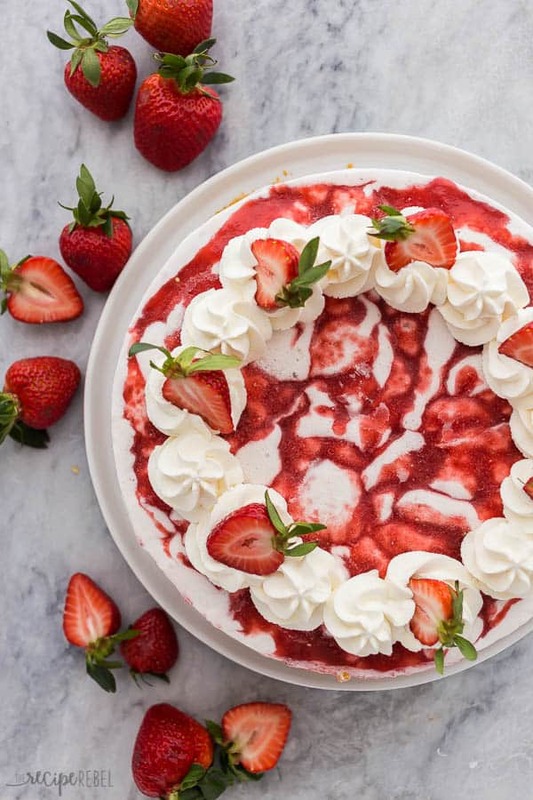 How do you make a Strawberry Shortcake Ice Cream Cake? Make the strawberry sauce first, because it has to cool to room temperature before assembly. You can even prep it the day ahead and store it in the refrigerator. Mix together some cookie crumbs and melted butter — any vanilla cookies will do! Make one layer of cookie crumbs, Strawberry Shortcake Ice Cream, and strawberry sauce. Then repeat once. These two layers will fill a 9″ springform pan, so don’t go any smaller! Freeze flat — clear some space in your freezer because you don’t want this ice cream cake to spill over! Once it’s firm, cover with plastic wrap and store up to 2 months before serving. You can swap out the shortbread cookies for a thin, homemade blondie or a thin white cake layer. Personally, I prefer the crushed cookies as I find frozen cake hard to serve and I skipped the blondie because I wanted to keep it no bake. You can swap out the ice cream for another variety and get a little crazy: try Chapman’s Premium Chocolate Fudge Brownie or Black Cherry with the strawberry sauce — the options are endless! You can make a single layer of everything and prepare it in a 9×13″ pan if you find that easier or if you don’t have a springform pan. How long can you store ice cream cake? Ice cream is best eaten within about 2 months, but that’s a pretty great shelf life for a dessert like this! 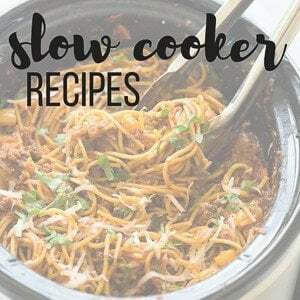 Make up a couple and store them for unexpected company, and then enjoy their shock and delight when you whip this beauty out of the freezer to serve. I like to let my ice cream cakes sit at room temperature for 10-15 minutes before serving so they slice easily. While I’m waiting, I like to whip up some extra whipped cream to pipe over the top for a fun presentation. If you want to really take things to the next level, chop up some fresh strawberries and toss with a small amount of sugar and let sit while your cake warms slightly. They will become sweet and saucy and will add an extra strawberry punch to this fun strawberry dessert! 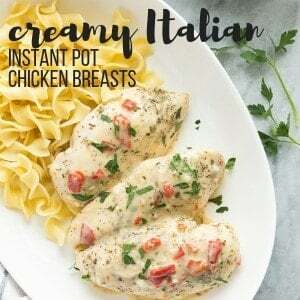 *This post is generously sponsored by Chapman’s and I was compensated for my time in creating this recipe. Thank you for supporting the brands that make The Recipe Rebel possible. This Strawberry Shortcake Ice Cream Cake is a show-stopping strawberry dessert! 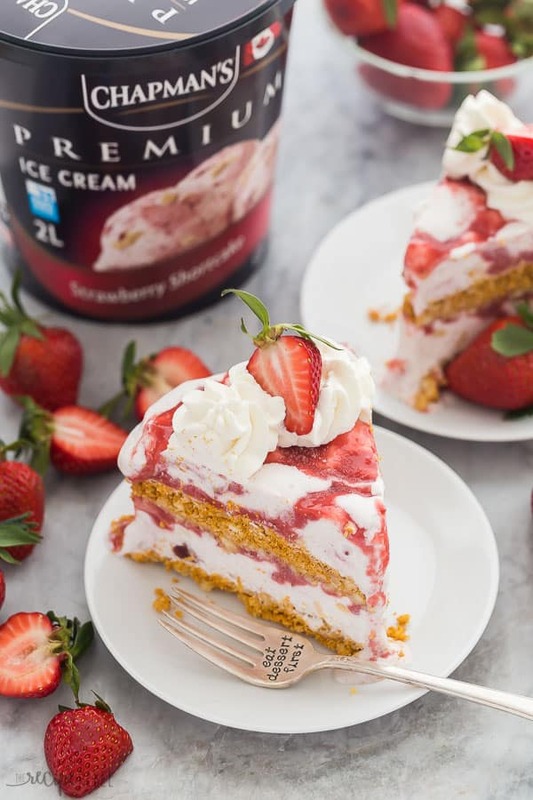 Made with crushed shortbread cookies, strawberry shortcake ice cream, and homemade strawberry sauce, it's a no bake dessert everyone will love! In a medium pan, add the strawberries, sugar and water. Bring to a simmer over medium-high heat, stirring often, and cook until berries are softened. Puree in the pan with an immersion blender (or mash with a potato mashed for a chunkier texture). Whisk together cream and corn starch. Stir into strawberry sauce to thicken slightly. 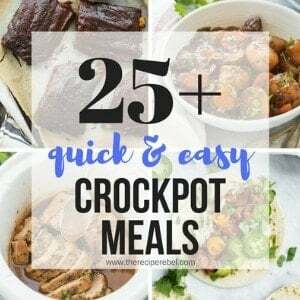 Pour into a medium bowl and set aside to cool to room temperature (this can be done the day before, or use the fridge or freezer to speed up the process). Remove ice cream from the freezer to soften for 30-45 minutes before assembly. In a large bowl, combine crushed cookies and melted butter. Place a piece of parchment paper in the bottom of a 9 or 10" Springform pan (I used a 9") by opening the sides and clamping the paper in the bottom. This is optional but allows for easy removal. Place half of the cookie mixture in the bottom of the pan and press into place. Top with half of the ice cream, and cover with a thin layer of strawberry sauce. Repeat layers one more time to fill the pan: crumbs (press down gently), ice cream (use the remaining), and drizzle strawberry sauce on top. The pan will be full, that is fine. Place on a flat shelf in the freezer for 6-8 hours or overnight, until completely frozen. Remove from freezer 10-15 minutes before serving, garnishing with whipped cream and fresh strawberries if desired. Hi. This sounds fantabulous lol. Quick question. I have slight confusion on the vanilla cookie. More like a ‘Nilla wafer or are we talking a vanilla cream sandwich cookie. I probably missed that somewhere. I’m thinking the wafer one? Don’t want to mess it up. Looks delish! And thank you. Ashley, this recipe…be still my heart. Strawberry shortcake ice cream, no bake, beautiful presentation, good instructions and tips. Thank you. I might have to make it in ramekins and have some individual servings stashed if I don’t have an occasion to bring it to. Thanks Carol! I love the idea of making individual ice cream cakes! They would be great in small jars for outdoor barbecues and such!